Have you heard the news? 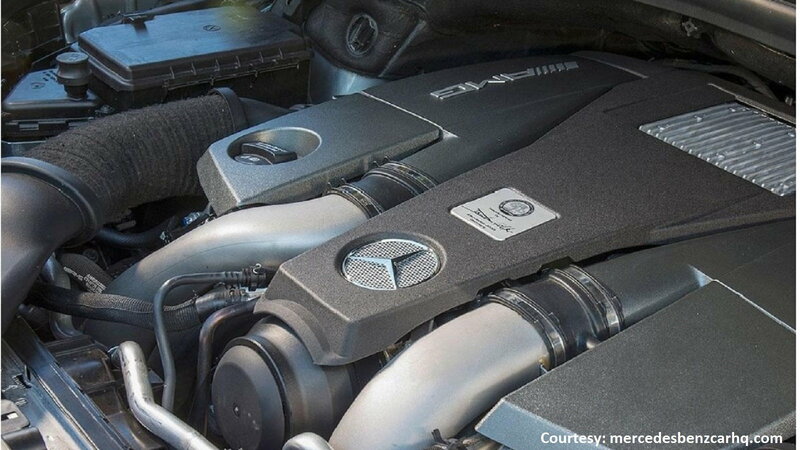 Mercedes-Benz is coming out with a luxury pickup truck! 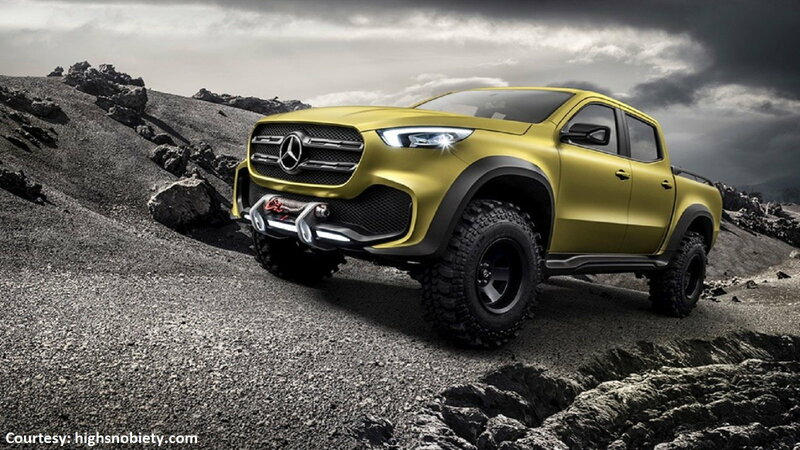 Mercedes-Benz's first pickup truck, named the X-Class, will feature a six-cylinder diesel engine with 4MATIC all-wheel drive as the full-time standard. 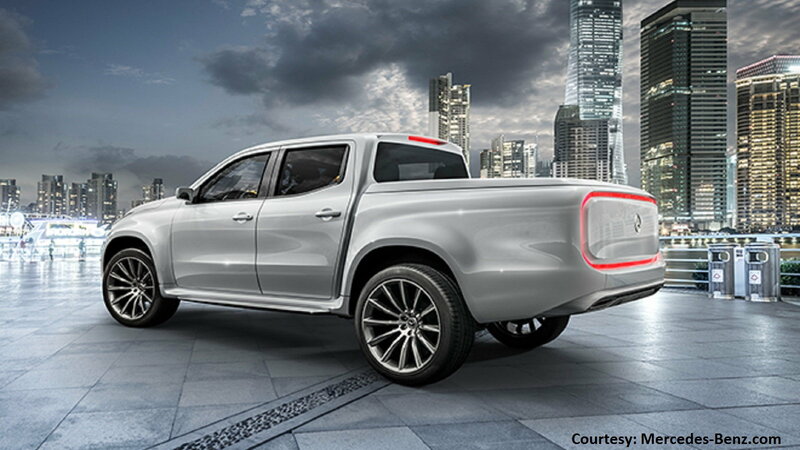 >>Join the conversation about the Mercedes-Benz pickup truck right here at MBWorld Forums! The luxury pickup truck boasts a payload just north of 1.1 tons and a towing capacity of up to 3.5 tons. 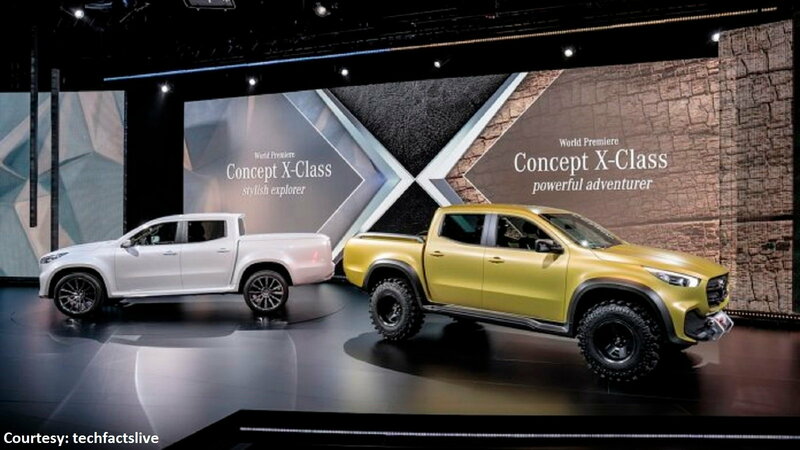 The Mercedes-Benz pickup truck was revealed as a concept with two designs. 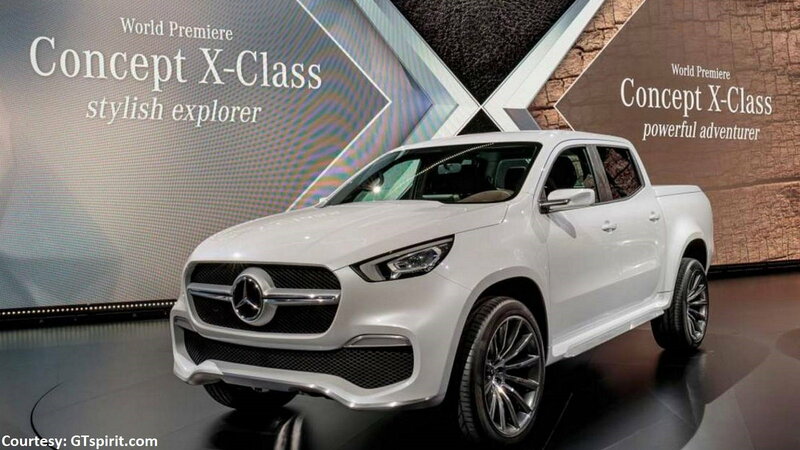 One design, referred to as the X-Class Stylish Explorer, is a more luxurious model with wood-trimmed interior, while the other is a heavier-duty pickup dubbed the X-Class Powerful Adventurer. Both models will have a "ladder-type frame" with room for five people. Take a closer look at the different designs over the next two slides. The Powerful Adventurer embodies a more rugged design that we've come to expect from pickups in the four-door truck landscape. Its chunky tires and exterior trim are clearly fit for off-road adventuring. On the inside, five people can fit comfortably in the full-crew cab, greeted by black nappa leather seats. The interior is tuned to the sturdiness of the overall feel and design; it even features a small fire extinguisher mounted to the passenger-side dashboard! Although more rugged-looking, the interior doesn't compromise the level of luxury expected from M-B, with its mounted infotainment screen and touchpad controls ever-present. With radar, camera, and ultrasonic sensor technology, this truck will certainly appeal to adventurers. The Stylish Explorer is more emblematic of the overall style we've come to expect from Mercedes-Benz. This design comes closer to resembling a typical M-B SUV with the addition of a hearty cargo bed. Its 22-inch wheels are substantial yet still luxurious-looking, and the continuous LED strip on the tailgate adds a more futuristic look from the rear. The interior features open-pore smoked oak trim, accented by aluminum. Overall, no elements of luxury were spared when it came to designing the Stylish Explorer; once you sit in it, you may forget for a moment that you're actually in a pickup truck! Launching under the general model name Mercedes-Benz X-Class, consumers in Argentina, South Africa, Brazil, New Zealand, Australia, and Europe can expect the pickup truck's release in late 2017. No pricing information has been revealed just yet. 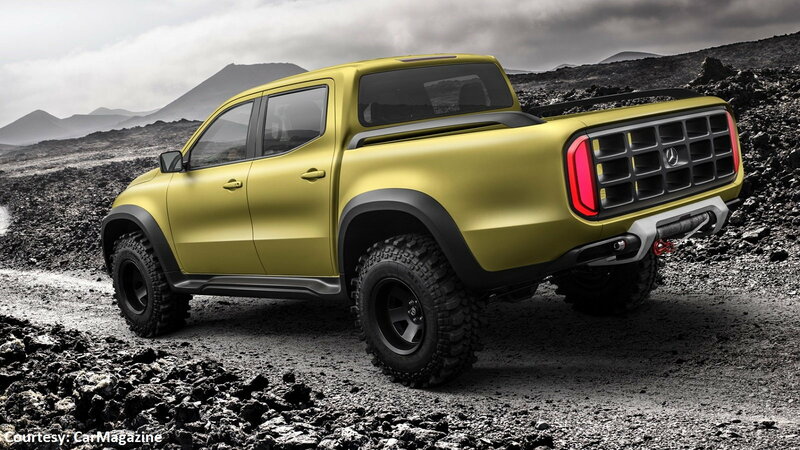 The X-Class pickup truck won't be available for U.S. markets next year, but it may very well become a contender in the U.S. truck landscape down the line.